Huippu Education believes high-quality teacher training is the key to ensuring all children have access to the best available education. 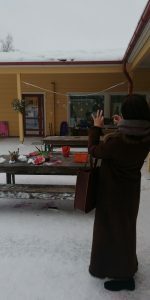 Teachers are at the core of Finland’s education success. They are highly educated, respected and trusted with almost complete autonomy over how they teach. Huippu Education believes incorporating elements from the Finnish model can help to improve early-childhood and primary education around the world. Consequently, Huippu has made teachers its primary target. The startup offers Finnish-inspired teacher training, consultation and curriculum fusion for schools and educators globally. Each service is based on education concepts developed by Huippu and the University of Helsinki Centre for Continuing Education (HY+) and tailored to the culture and needs of each client. And these services aren’t reserved for wealthy schools and municipalities. What really makes Huippu tick is offering its expertise in all parts of the world, including conflict zones and emerging markets. Huippu’s approach has already landed the company its first major contract in Amman, Jordan. 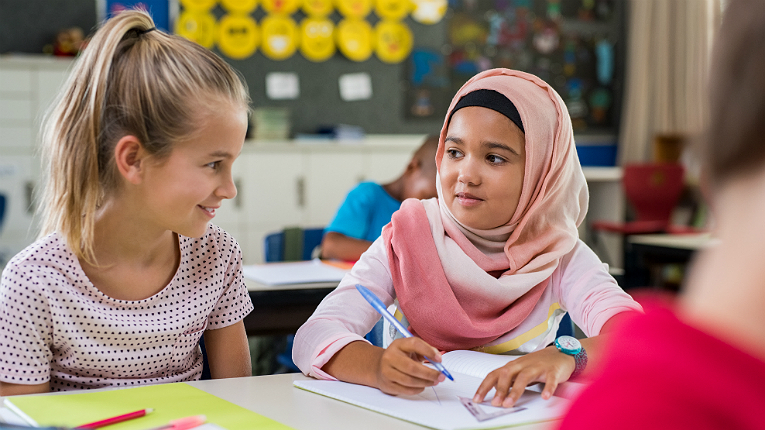 Huippu is working together with the New English School, a private school with students from 35 countries, to redesign its curriculum with inspiration from the Finnish education model. 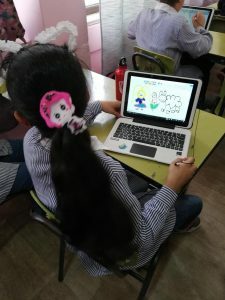 Huippu’s education expert Elli Heino will live in Amman for six months to assist the school and its teachers as they transition to the new curriculum. 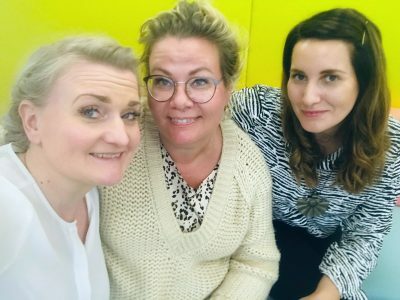 Huippu Education was founded by Laura Indrén (middle) and Anna Eghaghara (left) to provide Finnish-inspired teacher training globally. Pictured on the right is Elli Heino who will train teachers in Amman, Jordan, for the next six months. Alongside the project, Heino will also take time to train teachers among Syrian refugees in Lebanon and Jordan. It is work Indrén knows well. A teacher by training, she has worked in humanitarian projects in Africa and Haiti and in the field of education exports. It is the drive to combine these two that motivated Indrén to start Huippu Education in the summer of 2018. Today Huippu has a core team of two, Indrén and partner Anna Eghaghara, and a large pool of education experts at its disposal. Partners are also crucial to Huippu’s humanitarian ambitions. For a small company to open the door to large aid projects, it is necessary to collaborate with other service providers and have references from the private sector. This is what Huippu is building now. The Princess of Jordan visited Helsinki earlier this year. Huippu’s initial focus is in Africa and the Middle East. They are regions familiar to Indrén, and Huippu has already completed projects in both. The long-term vision for the company is to build a global network of local offices. Huippu’s project in Jordan offers a good springboard for this. More private-sector projects also mean more humanitarian projects for Huippu. It is a balancing act, but Indrén believes improving education in impoverished areas will benefit not only the children but also the communities around them. This is what drives the company.